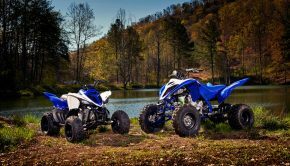 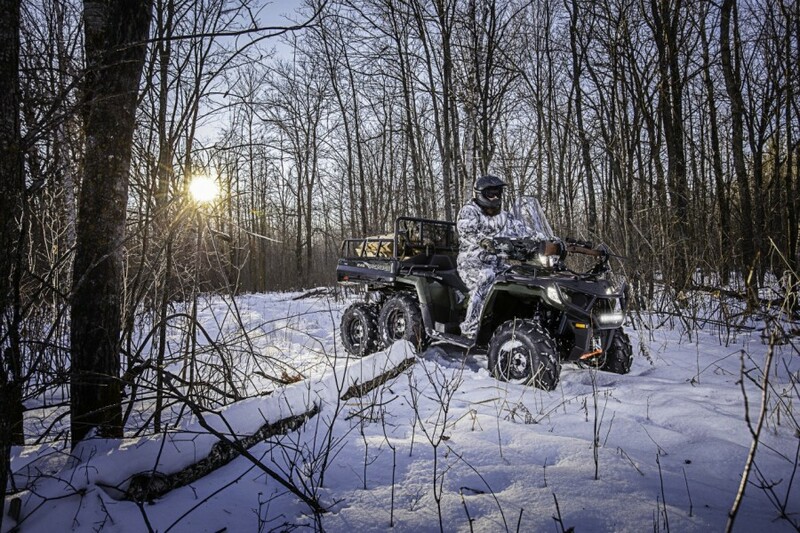 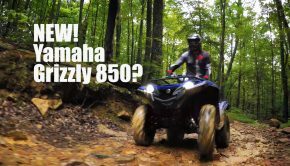 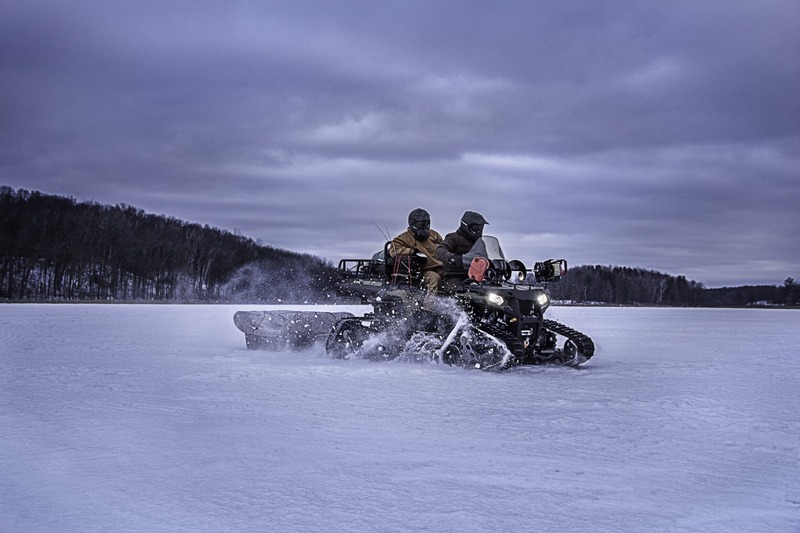 Minneapolis, March 17, 2016 –Polaris Industries Inc. (NYSE: PII), the leader in Off-Road Vehicles, today introduced the all-new 2017 Sportsman® 6×6 BIG BOSS 570 EPS all-terrain vehicle (ATV) to the company’s powerful off-road lineup. 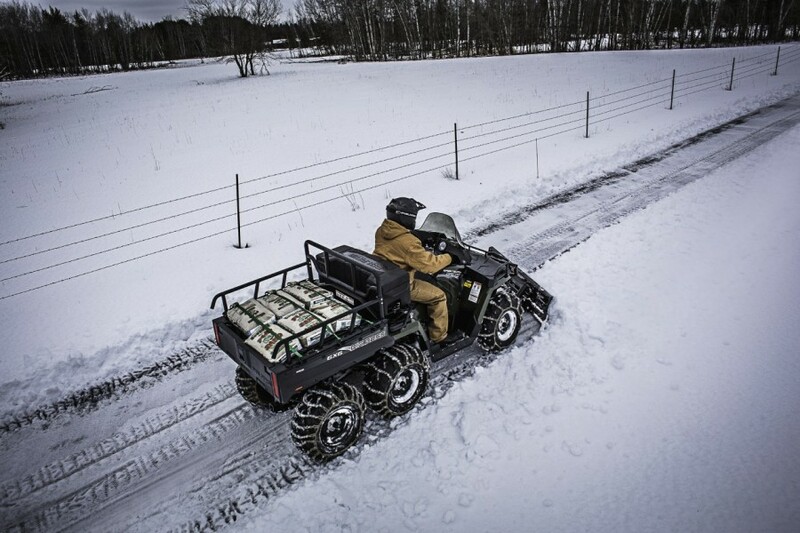 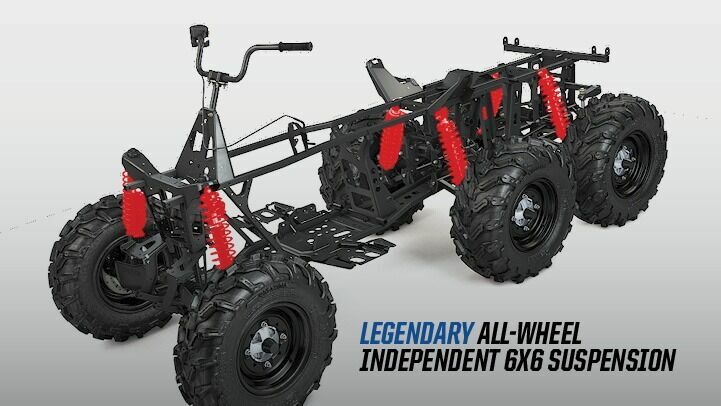 The new six-wheel drive BIG BOSS offers more traction, range, capacity and versatility to take on the most demanding off-road conditions, and was built for customers desiring to reach the most remote destinations. 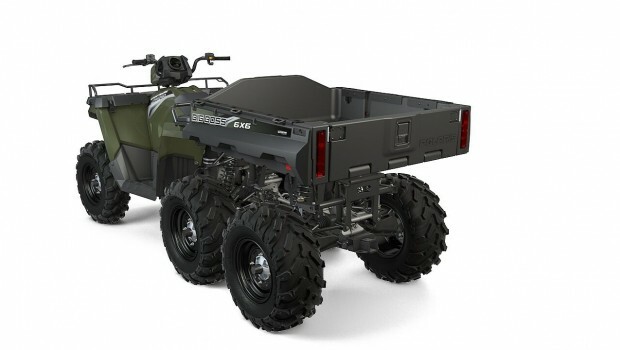 The Sportsman 6×6 BIG BOSS 570 EPS has a longer chassis to accommodate more cargo and a second person. 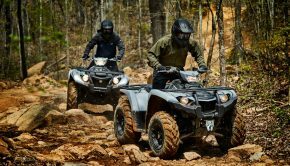 To tackle the toughest terrain, the BIG BOSS relies on Polaris’ proven and legendary All-Wheel Independent Suspension with the most rear suspension travel of any 6×6 (8.2 in [20.83 cm] front, 9.5 in [24.93 cm] rear) and 11.5 in. (29.21 cm) of ground clearance. 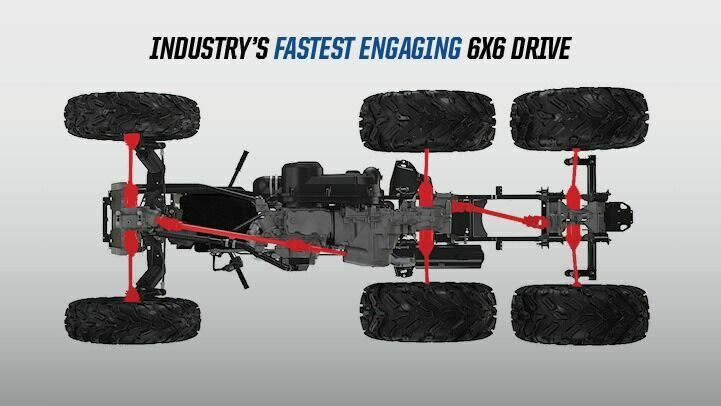 The vehicle features 4WD and 6WD options with the flip of a switch, and the industry’s fastest-engaging High Performance On-Demand True All-Wheel Drive (AWD) system to give the operator instant engagement when more traction is needed. 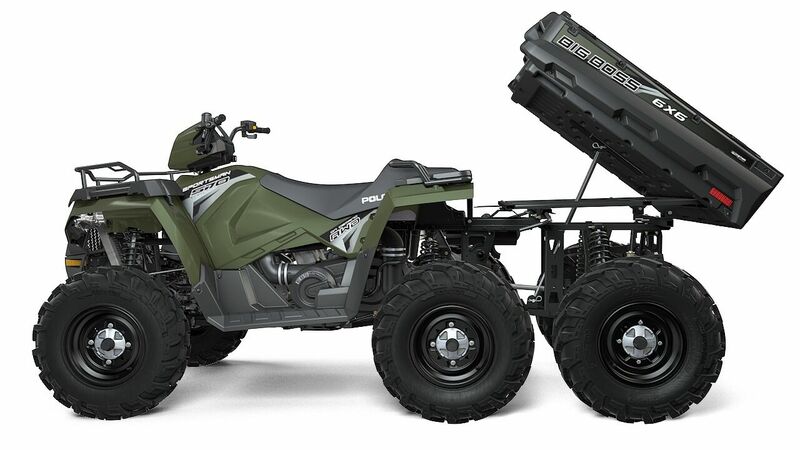 The Sportsman 6×6 BIG BOSS 570 EPS will be available in Sage Green, retails for $10,999 U.S.